This is one of my top-three favorite Halloween pictures. 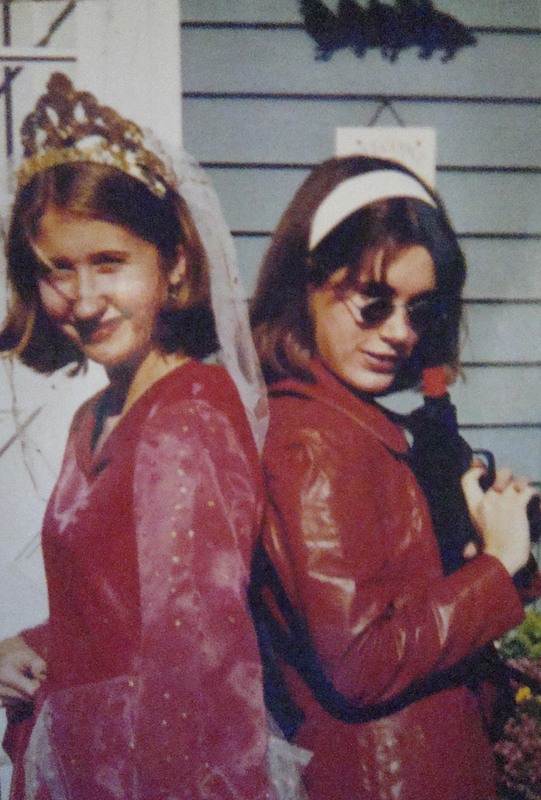 This is my good friend Alison and I circa 1997. Sixth grade, I believe. She's some sort of agent person, and I'm wearing the princess costume my aunt made me when I was in elementary school. The original dress was so big that we hemmed it probably half a foot, and I wore it for the next four or five years in a row. The year I finally realized I was too big for it was a dark day. This was back when short hair worked for me. And I hadn't yet realized how terrible I look in red. PS: you all are cute as heck!